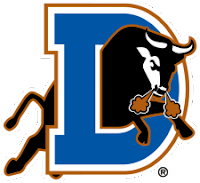 The Game: The Durham Bulls defeated the Gwinnett Braves 3-1 on Tuesday night at Coolray Field. The Bulls cruised to victory on the arm of Jeremy Hellickson, who’s dominating performance saw him retire 14 hitters in a row during the contest. Durham took the lead in the third inning. Rashad Eldridge singled to right field to get things started. Fernando Perez then plated the run with an RBI double to give the Bulls a 1-0 lead. The Bulls increased their lead in the sixth inning. Dan Johnson struck a solo home run to increase the lead to 2-0. The Bulls added another run in the seventh. Elliot Johnson drew a one out walk to put a runner aboard. Johnson then stole second base and later scored on a ground ball by Rashad Eldridge. The run gave the Bulls a 3-0 lead. Gwinnett recorded their sole run in the seventh inning. Mitch Jones doubled to left field to lead off the inning. Barbaro Canizares followed with a single to move Jones to third. Jones then scored on a sac fly by Joe Thurston. But the Bulls managed to keep the Braves from pushing across any more runs to secure the 3-1 victory. Jeremy Hellickson (2-0, 1.59) earned the win pitching 6 1/3 innings and allowing 1 run on 4 hits with 7 strikeouts and walk. Heath Rollins pitched 1 1/3 innings and allowed a hit with a walk. Dale Thayer recorded his third save of the season with 1 1/3 shut-out innings allowing 2 hits and striking out 1 and walking 1. Bulls Player of the Game: Jeremy Hellickson; secured his second win of the season by going 6 1/3 innings with only 1 run and 7 strikeouts. Jeremy Hellickson: 1 run, 4 hits, 7 strikeouts and 1 walk in 6 1/3 innings. A Look Ahead: The Bulls (4-2) wrap up the series with the Gwinnett Braves (2-4) on Wednesday at Coolray Field. Heath Phillips (0-0, 5.79) will face Chris Resop (0-1, 2.45).